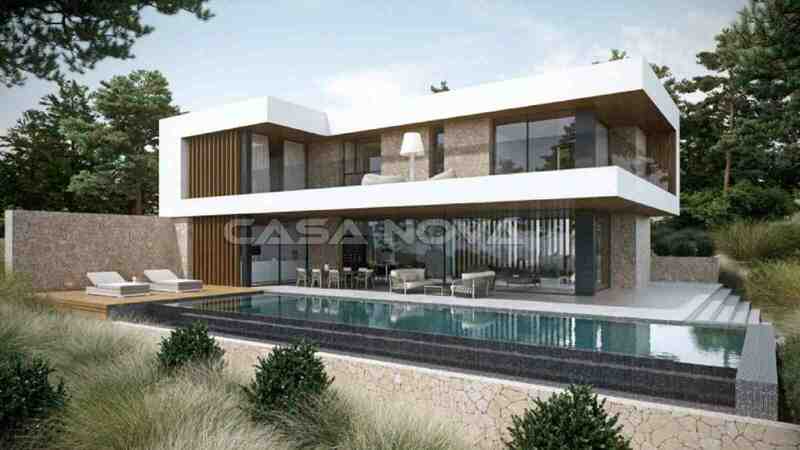 Real Estate Mallorca : This property Mallorca is a new development of a luxury villa in a first-class residential area in Cala Vinyes with its coveted south-west orientation. On a plot of approx. 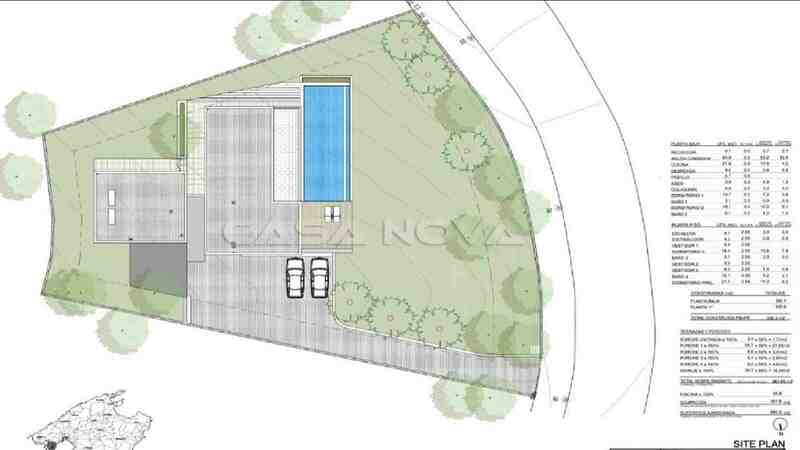 1590 m 2 this new contemporary-style property will be built with a planned built-up living space of approx. 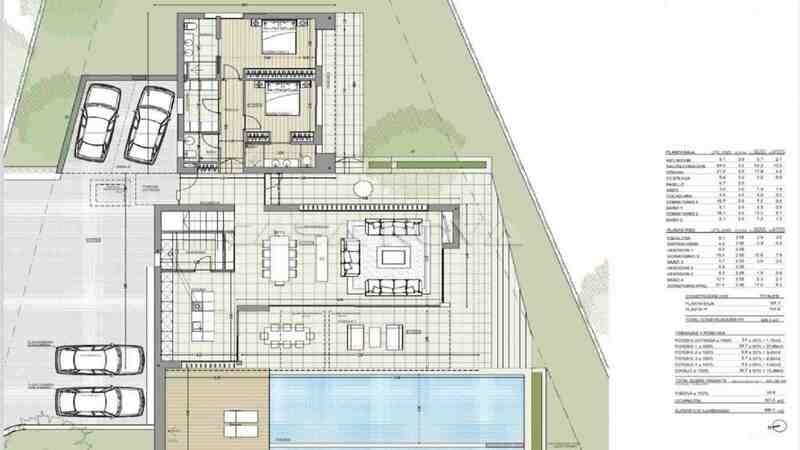 385 m 2 plus covered and open terraces. The new luxury Mallorca villa offers a high level of privacy. The property will be constructed with the highest quality materials. From the spacious open plan living/dining room and the fully-fitted kitchen gives access to the spacious terrace area with its infinity pool of approx. 56 m2. The luxury property offers 4 bedrooms each with its bathroom en suite and private terraces. The existing project includes : air conditioning h/c with solar energy, central heating, double glazed aluminum windows, built-in wardrobes, fireplace, alarm system, automatic irrigation wine cellar, a storage room and a carport for 2 vehicles. The floors well be in marble or parquet. Here you still can influence and realize your own wishes, about style or qualities. Cala Vinyes in the southwest of Mallorca is a very popular residential area. Several beaches and beautiful bays are just minutes away. Several Mallorca golf courses can also be reached by car in a few minutes. The fashionable marinas Puerto Portals and Port Adriano are about 10 minutes away by car. It takes about 15 minutes to the island`s capital Palma de Mallorca, and the international airport of Mallorca is about 25 minutes`drive away. 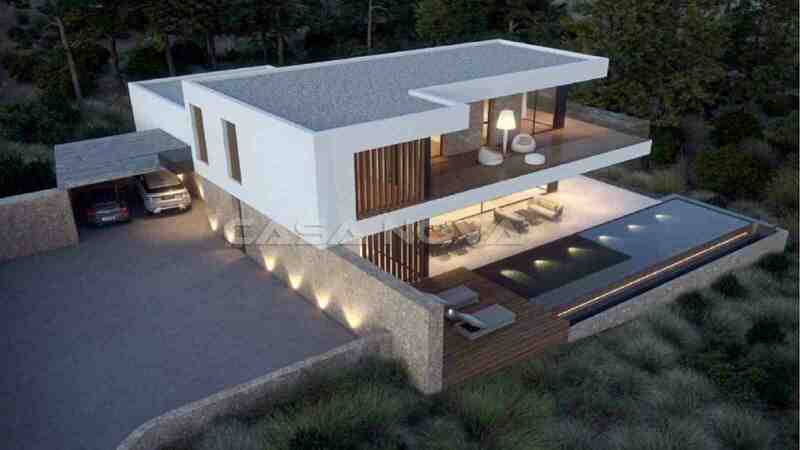 Here can be built your dream property in Mallorca. Give to this villa your personal touch with our advice and competence. Please contact Casa Nova Properties your real estate agency in Mallorca, Santa Ponsa.